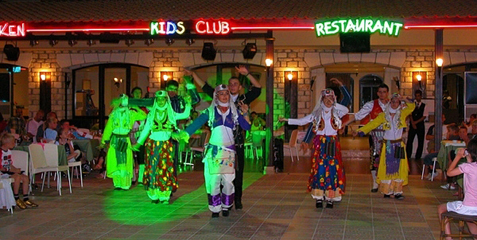 During your stay our Animation team will be organising different activities for your entertainment. For further information please contact our Animators or refer to our Animation info board. Monday - Possible-Impossible Tuesday - Karaoke Surprise Night (Competition) Wednesday - Barbeque Night Thursday - Live Music Friday - Musical Quiz & Magician Saturday - Karaoke Sunday - Competition. Bingo (Everyday) Aqua Games Pool Games Kid's Games Water Polo Dart Games.